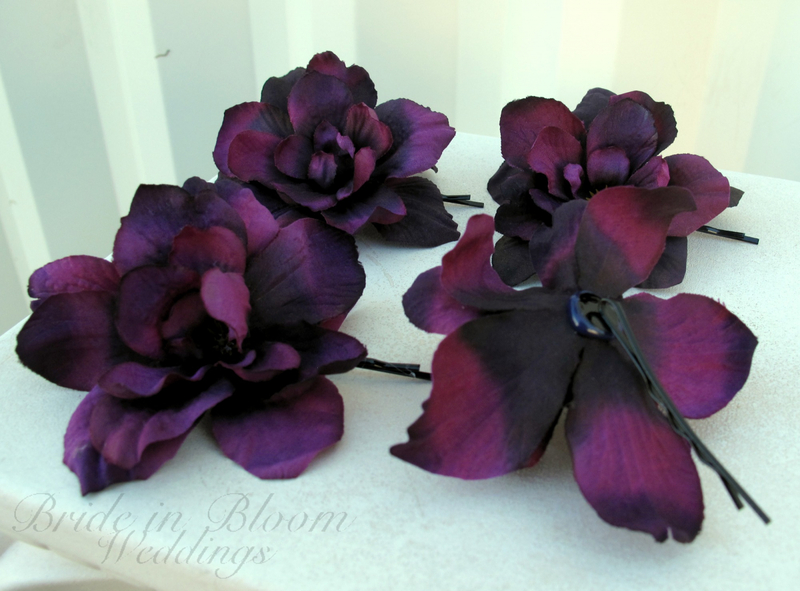 These adorable plum purple delphinium blooms are a simple & elegant statement in your updo! Great for brides, bridesmaids, or flower girls! 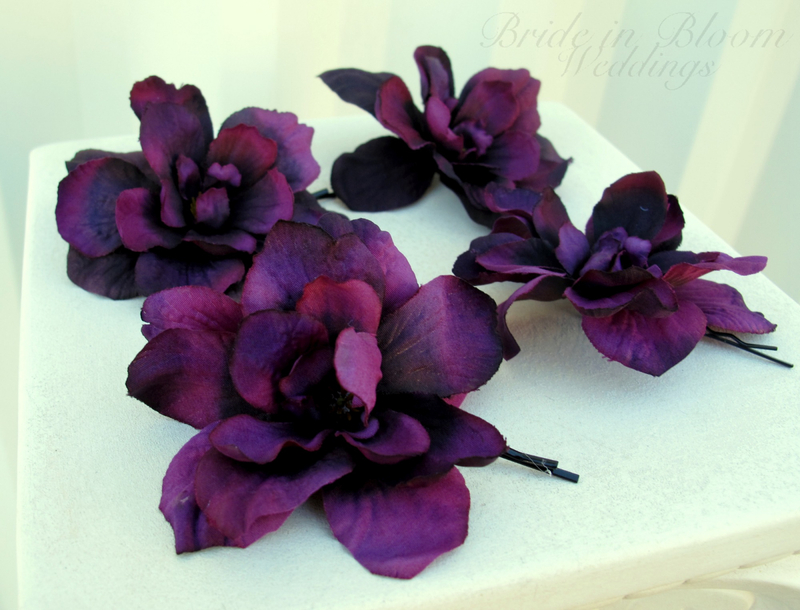 This listing is for 4 silk delphinium bobbies. Flowers measure 2" each. Packaged in a pretty box, perfect for gift giving.